I think Trixie is an extremely talented womon who has graciously decided to share her gifts with others. I did a intuitive/spiritual healing session with her and I found it to be very uplifting, healing and informational. I would recommend Trixie to all those seeking guidance in their life, whatever the issue may be, she can address it and she accomplishes this through her incredible gift of intuitive and spiritual connections. I did an Energy Transfer Brushing with Trixie and wow, what can I say. This is unlike any other Energy Work I have ever done with someone. The Energy Brushing technique is so different and unique and it made me feel so amazing. When I went out I felt like I could conquer the world!! OMG! AMAZEBALLS! I did a Candle Smoke Reading with Trixie and truly had all my questions answered! I never had seen a reading like this and was skeptical at first, but she proved to me that this works AND I was able to take the paper home with the answer and I see the answer so clearly and use it as a great affirmation! I can’t wait to take Trixie’s next set of classes! Her Fragile to Fabulous course was phenom! I never realized how much I was holding onto until I took her course. It really helped me see WHY I was holding onto things and gave me the freedom to learn to let go of things that didnt serve me! I gave her four stars only because I felt she needed more worksheets, but she promised to do that in her next course. If so, another review to follow up! 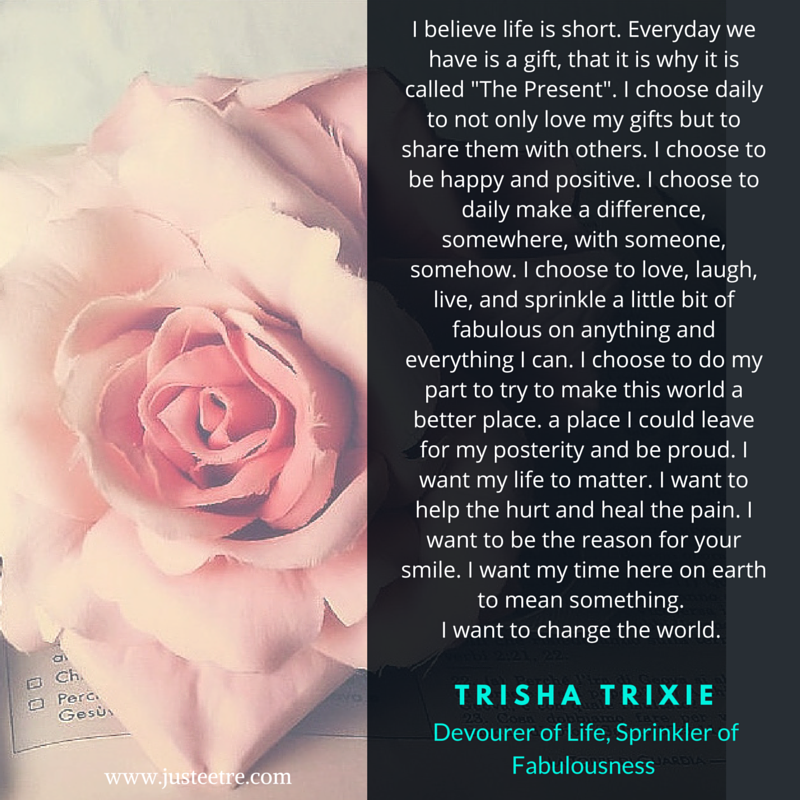 I took Trixie’s Be Fabulous: From Fragile to Fabulous Course last year and it was amazing! It touched on all the points I needed to work on in my life , as well as helped me to see the FABULOUS in me!